In other words, Spring has sprung. And I’ve been craving crisp and crumble desserts. The easiest of baked fresh fruit sweets… lovely for springtime picnic, or summer backyard get-together. A perfect ending to a grill-side supper on the deck, al fresco. Quinoa flakes. 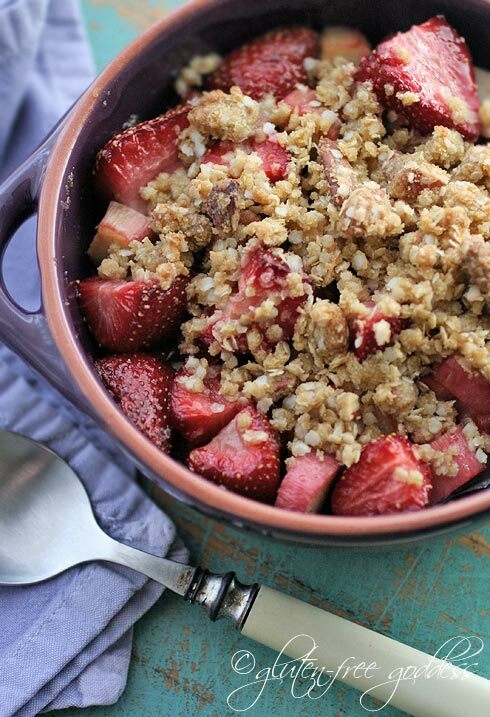 Gluten-free quinoa cereal flakes add a distinct, delicate flavor to this fruit crumble’s sweet and nutty topping. The texture is light and lovely- and far less chewy than oats.